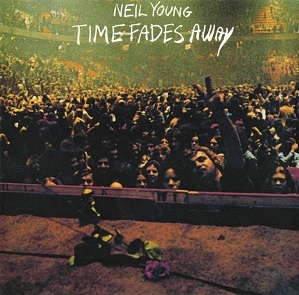 Time Fades Away is the first live album to be released by Neil Young. It was recorded in 1973 and he was backed by The Stray Gators. While Neil Young has issued many live albums since including historic performances from his early days, Time Fades Away is not available for sale. This is because the entire tour has too many bad memories and he’s unhappy with the sound. However the unavailability of Time Fades Away has given this live album legendary status and many fans are eager to hear the new songs performed on it. I haven’t heard Time Fades Away and with all the live recordings from the late 60s and 70s, I’m not in any hurry to satisfy my curiosity by paying a premium price to get it. Reviewers at Amazon have given their thoughts. There isn’t an official release of Time Fades Away but there are various offers on Amazon.com , Amazon.co.uk and eBay if you are desperate to hear this Neil Young live album. I haven’t seen it offered on iTunes but you never know if Neil Young will change his mind. There are other Neil Young live albums from the 1970s that you might enjoy. Have You Heard Time Fades Away? What do you think of it? Is it really one of the best live albums by Neil Young? What Are The Best Live Albums Ever? 2003 Greendale Live At Vicar St.
Click on the links to vote and to see the results so far. This entry was posted in 1970s Live Albums, Singer Songwriter Live Albums and tagged 1970s Songwriters, 1973 live albums, Neil Young Live Albums, SS Y by Paul Simister. Bookmark the permalink.